An important segment of our packaging, printing, labeling and screening lineup of products and services is our capability in producing folding cartons. Action Packaging can manufacture folding cartons of chipboard, with custom printing available in up to 8 colors. We can produce folding cartons in a wide range of sizes from small to medium and large, in the width, length and height dimensions that your specific application requires. Custom printing from 8 point to 28 point is readily available. 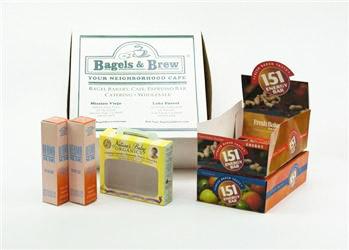 Action Packaging designs custom folding cartons to package individual products to hold sample packets, nutritional bars and just about anything you would like to put in it. Prototypes are available, generally within two to four days of the final renderings (design approvals). Custom corrugated boxes for products are also produced with lithographic laminated exteriors – the design ensures that the enclosed product will not be damaged, and the combination of colors, eye-catching shapes and pictorials using laminated lithography patterns will certainly draw the customer’s eye – whether it is in retail, trade show, or other high-profile, heavy traffic environment. 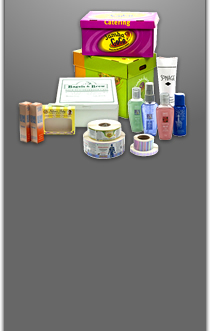 Action Packaging has successfully designed and manufactured custom folding cartons and custom corrugated boxes for numerous industries, including the computer software, consumer cosmetics and beauty products, health care and nutraceutical segments. Action Packaging has the capability to direct print to corrugated box panels. We can assist you with all phases of custom design, prototyping and production of folding cartons and corrugated boxes for every imaginable application. Our skilled and accomplished employees are ready to work with you on your most complicated folding carton and custom corrugated box requirements and specifications – call or email us, and we’ll get to work for you!